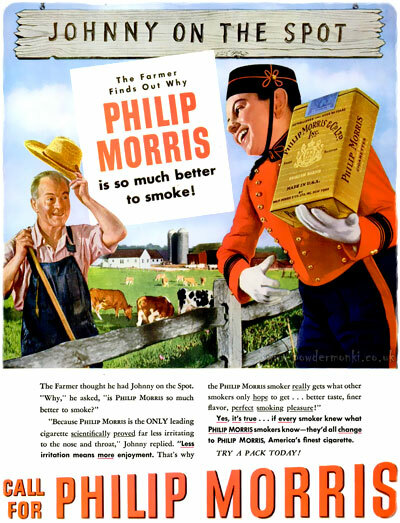 These ads for Philip Morris cigarettes date from 1938-47. 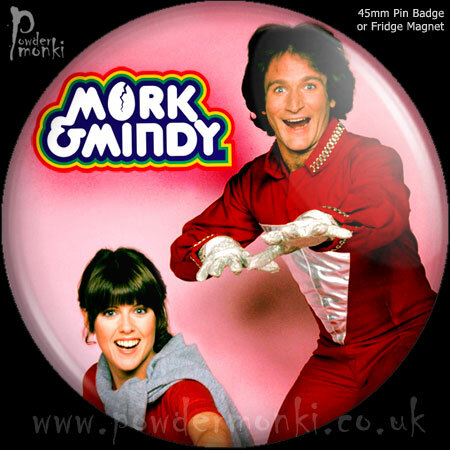 I don’t know about you, but that bell boy creeps me out. 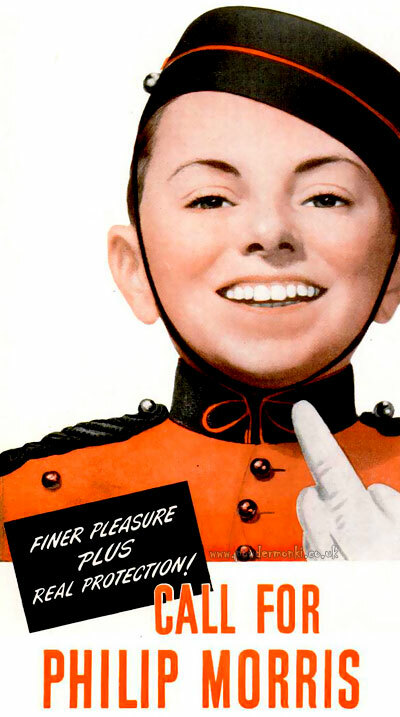 These four partially illustrated ads for Philip Morris cigarettes are all from 1947. 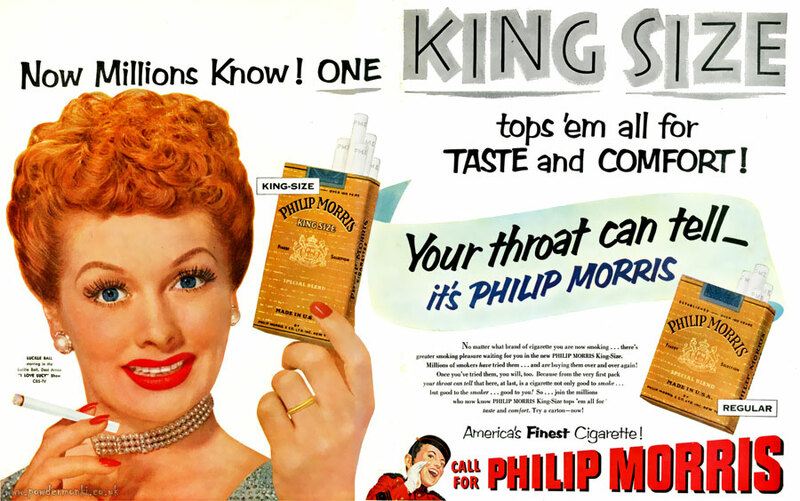 Philip Morris cigarettes sponsored US TV show I Love Lucy from its premier on 15th October 1951, until Christmas 1954. As well as the TV ads, there were paper ads featuring the shows stars Lucille Ball and Desi Arnaz. 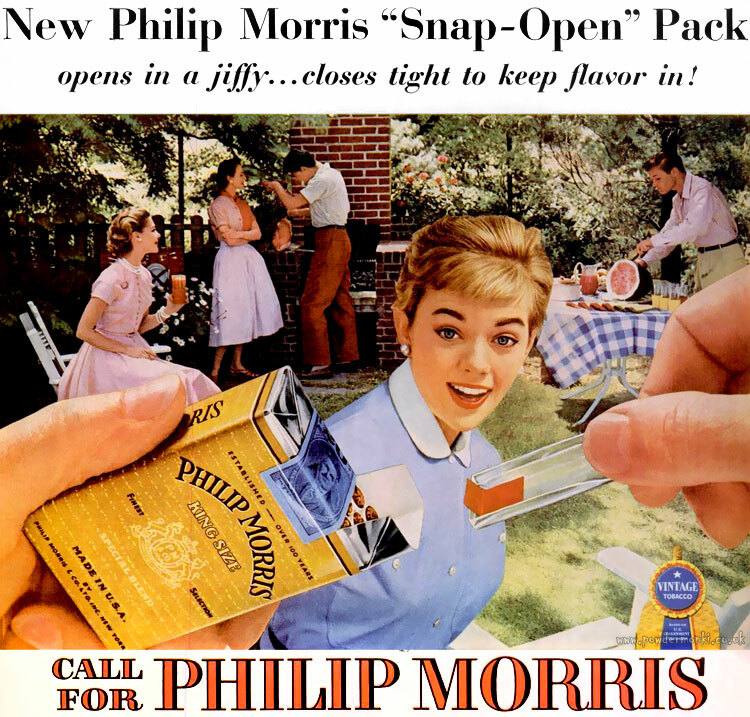 In 1954, Philip Morris modernised their cigarette advertising campaign with a fresh new look (no bell boys to be seen anywhere). They also had a new design of “snap-open” packaging. 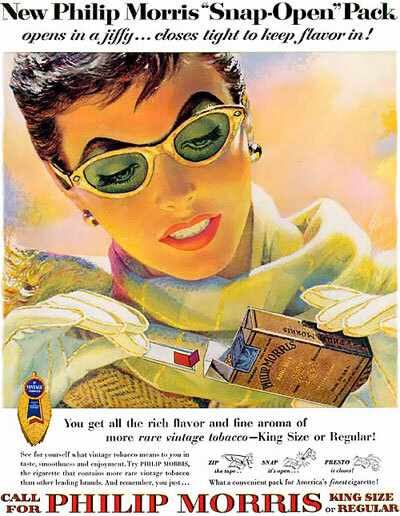 In 1955, Philip Morris cigarettes commissioned artist Edwin Georgi to create this series of wonderful illustrations for them.